The first run of Atari Force comics were published in 1982 and amounted to 5 issues. The comics were created to bring to life story lines for Atari console video games releases. Atari Force appeared as a DC Comics insert , Codename: Liberator, in 1982 and served as an advertorial like comic that led to the release of the Liberator arcade game which featured the Atari Force Characters and story line within it. "The Arcade Game Liberator is often described as the opposite of Missile Command The objective of Missile Command was to defend your bases from attack whereas Liberator's objective is to destroy enemy bases"
The second series of Atari Force ran from January 1984 to August 1985 and ran for 20 monthly issues. Gerry Conway returned as writer and José Luis Garcia-López became the lead artist. In 1986, an Atari Force 'Special" issue was released with work by different writers, some of whom had done backup stories for volume 2. The original Atari Force was a team of humans from different nations who used the star ship; Scanner One to search for a new planet for humanity to inhabit as the Earth was facing ecological doom. The team itself was assembled by ATARI. (Advanced Technology And Research Institute). 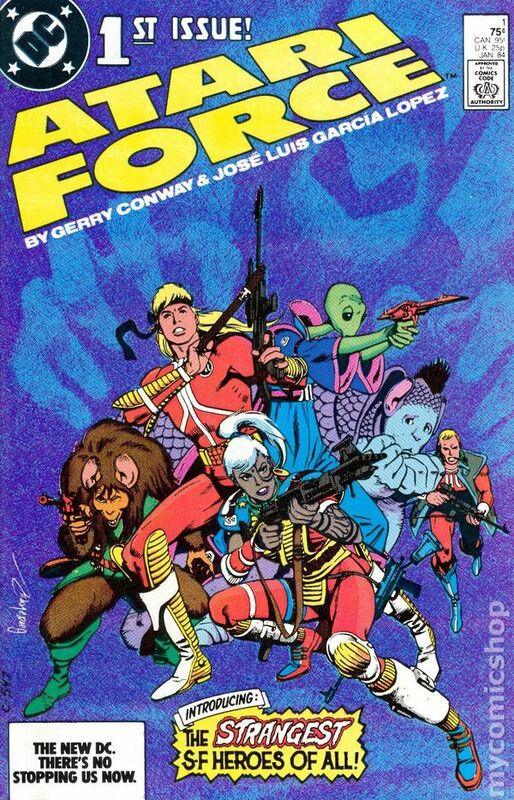 Atari Force was a pretty cool comic for Video Games Geeks like myself and I for one am looking forward to the Dynamite Entertainment reprints! Visit www.dynamite.com to find out more about this awesome comic book happening!